Christopher Wallace, better known by his stage names the Notorious B.I.G. and Biggie Smalls, died 20 years ago on March 9, 1997, after a drive-by shooting in Los Angeles. To this day, his murder remains one of the biggest mysteries in the history of rap music. Regarded today as one of the greatest rappers of all time, Wallace hit the music scene in September 1994 with the release of his acclaimed debut album, Ready to Die, which included the hit singles “Juicy” and “Big Poppa.” His high-profile feud with fellow rapper Tupac Shakur — who was fatally wounded in a drive-by shooting in Las Vegas six months before Wallace’s death — also played a major role in his catapult to superstardom. The Brooklyn native had just left a Soul Train Music Awards afterparty on March 9, 1997, when a Chevrolet Impala pulled up beside his green GMC Suburban SUV at a red light. The driver of the Impala, an unidentified black male dressed in a suit and bow tie, rolled down his window and fired a 9 mm pistol at Wallace, wounding him with four bullets. Wallace was rushed to Cedars-Sinai Medical Center in Los Angeles to undergo emergency surgery, but soon after, he was pronounced dead at the age of 24. Retired Los Angeles Police Department detective Greg Kading, who led a special task force investigating Wallace’s and Shakur’s murders, alleged that Sean “Diddy” Combs was involved in Shakur’s death in his 2011 book Murder Rap: The Untold Story of the Biggie Smalls & Tupac Shakur Murder Investigations by the Detective Who Solved Both Cases and its accompanying 2015 documentary. Kading claimed Combs — the mastermind behind Bad Boy Records, Wallace’s record label — paid a Crips gang member $1 million to kill Shakur and his manager, Death Row Records CEO Marion “Suge” Knight. Kading alleged that Knight retaliated by hiring a member of the Bloods to kill Wallace for $13,000. Combs and Knight have both vehemently denied claims about their involvement. In late 1997, Combs teamed up with Wallace’s widow, singer Faith Evans, and R&B group 112 to record the Grammy-winning song “I’ll Be Missing You” in memory of the late rapper. Another widely reported conspiracy theory, first spread by former LAPD detective Russell Poole, claimed Knight recruited corrupt LAPD authorities to kill Wallace as an act of retaliation for the death of his protégée Shakur. Months after Wallace’s murder, Knight told ABC News he would “absolutely not” snitch if he knew Shakur’s murderer. “I don’t get paid to tell on people,” he said in the infamous interview. In August 2015, while meeting with detectives about an unspecified cold case, Poole suffered a heart attack and died. 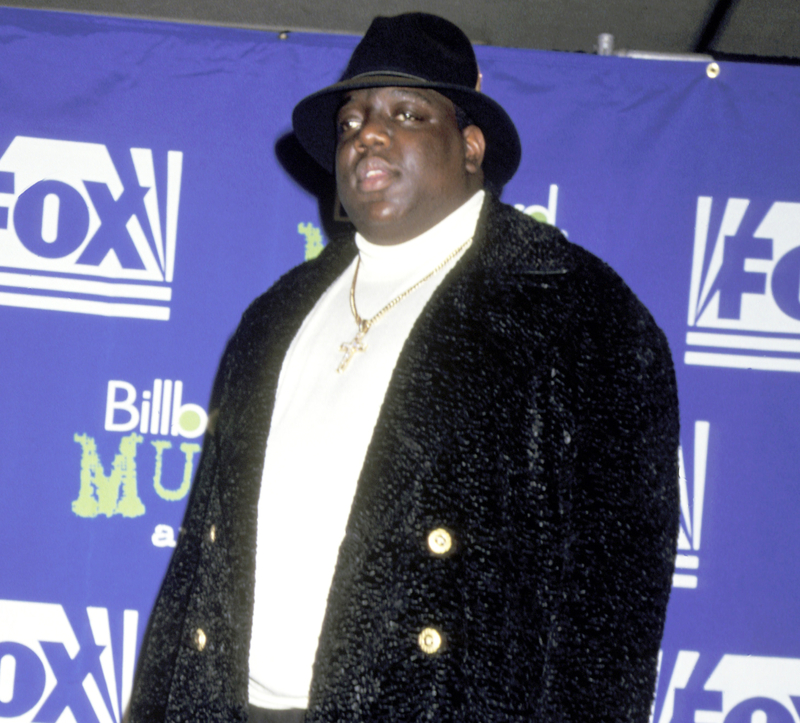 “Coincidentally he dies after meeting with the police about the cold case of Biggie’s death and strangely collapse’s [sic] shortly after and was unresponsive and was pronounced dead when he arrived at the hospital. Ain’t this some s–t? RIP B.I.G.,” rapper Busta Rhymes wrote on Instagram at the time, seemingly siding with Poole’s theory. Author John Potash claimed in his 2008 book The FBI War on Tupac Shakur and Black Leaders that the FBI was behind both Wallace’s and Shakur’s murders. Citing 12 years of research, hundreds of interviews and countless court documents, Potash alleged that the FBI wanted to end the violent rap culture of the ’90s and utilized counterintelligence programs to target leftist musicians. In the book, which also examines the assassinations of Malcolm X and Martin Luther King Jr., the author connected Shakur’s mom Afeni’s involvement with the Black Panther Party, Shakur’s lyrics about political self-empowerment and the FBI’s COINTELPRO project, which surveilled, infiltrated and often shut down political organizations and national threats, including the Panthers. The FBI, meanwhile, released the files from its two-year investigation into Wallace’s death in April 2011. The Associated Press reported at the time that informants told the FBI that Wallace’s murder may have been aided by corrupt police officers. The LAPD has denied claims about its alleged involvement. One of the most discussed — and, frankly, preposterous — conspiracy theories claims both Wallace and Shakur are still alive and simply enjoying life out of the spotlight. Through the years, countless doppelgängers have popped up in various cities across the globe, sending conspiracy theorists into a frenzy. Just last month, a Wallace look-alike was photographed at a bachelor party. “I don’t know if I was too drunk last night but I swear biggie came to my bachelor party…. Biggie is alive,” groom-to-be Nass Kitojo captioned a viral Instagram photo. And in 2011, PBS’ NewsHour website was hacked and a false report claiming Shakur had been “found alive and well in a small resort in New Zealand” was briefly posted online.